Preparing for retirement is extremely important; but, with most traditional pension plans phasing out rapidly, citizens are taking up the responsibility to fund their own retirement. This is a good move considering the fact that they will benefit from the advantages of participating in a retirement plan. Workers are beginning to rely solely on retirement plans sponsored by their workplace in order to meet their goals. Investments in plans such as 403(b), 401(k) or 457 offer a host of attractive options that make investing for retirement easy. Participating in a retirement plan is a wise decision and part of early retirement planning. An individual can contribute up to $17,000 of his or her salary in the 457, 401(k) or 403(b) plans. Bear in mind that the contribution limits may be lower in individual plans. People aged over 50 can take advantage of the annual catch-up contributions in which they can contribute an additional $5,500. In order to take full advantage of the tax benefit, you need to make the contributions before taxes are withdrawn from your salary. This, invariably, lowers your taxable income. The money contributed to your account and any earnings will continue to grow–tax-free–until you withdraw it at your retirement. There is no tax on qualified distributions. Yes, you can retire wealthy. If you make a withdrawal before the age of 59 ½ you will have to bear an additional 10% penalty tax. However, there are exceptions for an IRA hardship withdrawal, as defined by the IRS. 401(k) plans are available as both traditional and Roth. Many employers offer both plans for their employees, allowing them to choose one of the two. The traditional plan allows employees to defer taxes on the contributions until retirement, when the withdrawn funds are taxed. At that point, the money becomes taxable income. The advantage in this plan is this: your overall tax burden is lowered. As taxes are charged only on the income post contributions, your tax will be lower till retirement. The tax on the withdrawn money plus the taxes on your post-contribution wages will still be lower than if you had not invested in a 401(k). Roth-style plans are different. 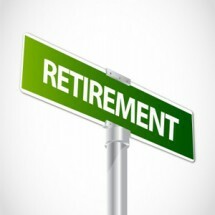 In this plan, the tax benefits are realized at retirement. The contributions are made post tax; the money in your account grows tax-free; and, there is no tax when you withdraw the money after age 59 ½. One of these two plans will be the best 401k investment for you. One of the advantages of a retirement plan is that you can borrow up to 50% of your account balance. If the loan is paid back with interest within five years, there will be no penalties; or else, the amount is considered as a withdrawal subject to tax and penalty. Not only can you borrow from your 401k, you can borrow from your IRA (traditional or Roth) – tax-free. The borrowed money needs to be replaced within 60 days. If the 60-day deadline is not adhered to, you could face penalties and tax on the withdrawn money that will now be considered income. Also, you cannot withdraw more than once in a year. Your retirement plan advantages are realized only if you follow all the rules described in the plan. If you’re having trouble selecting the right investment plan, but looking forward to realizing the advantages of participating in a retirement pan, consult a financial advisor. Work with your advisor to determine how you can secure your future financial security.